The 770CFE irons represent the first set of irons designed with a ultra-thin, forged high strength steel, CNC machined, variable thickness face design. The 770CFE irons are designed with a thin, variable thickness forged face to deliver a higher COR for much more distance than is possible with a conventional thick face iron design, but also to offer golfers a much better off-center hit forgiveness because of the variable thickness face design. Because irons increase in loft progressively through the set, the actual force of deflection of the face will decrease as loft increases. 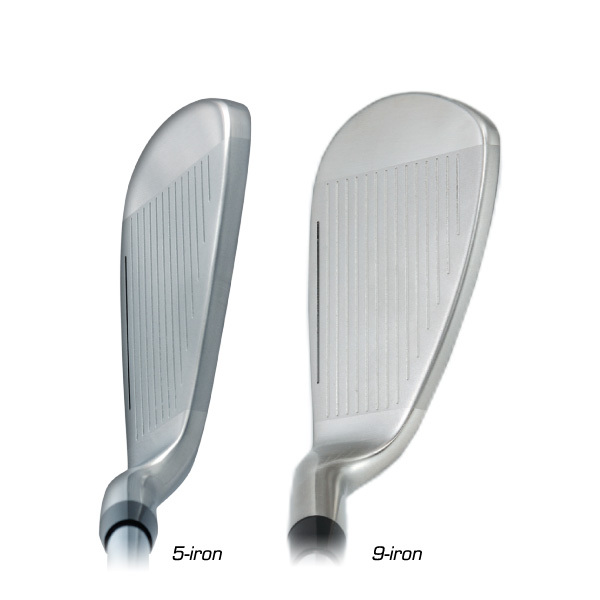 To help maximize the amount of face deflection as loft increases in the irons, the forged variable thickness face design changes in steel alloy composition and thickness. 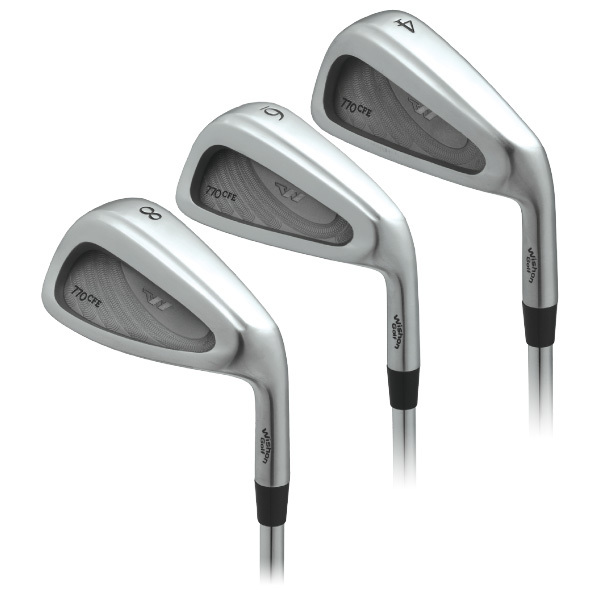 The #3 through 7-iron faces are forged from Carpenter 455 high strength steel, designed with a variable thickness of 2.4mm/1.9mm. 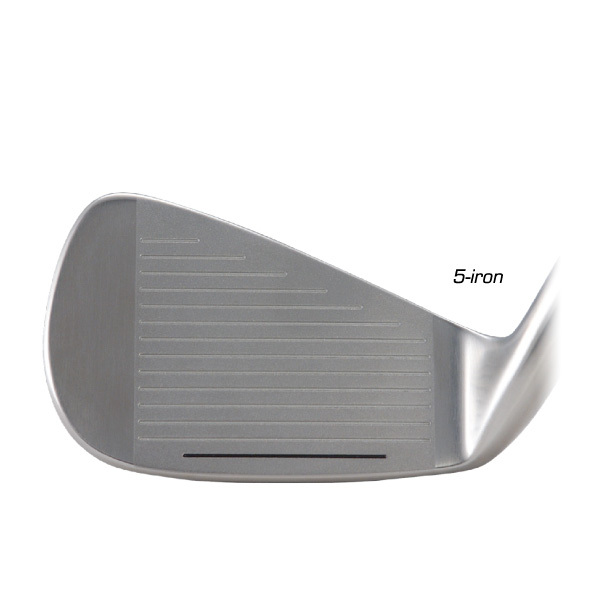 The #8 through wedge faces are forged from 17-7 stainless steel and machined to a variable thickness of 2.6mm/2.2mm. In addition, as loft increases in a set of irons, the actual position of impact on the face will change. To accommodate this slight change in iron face impact position, the thicker center section of the faces also changes in position on each 770CFE iron through the set to match. 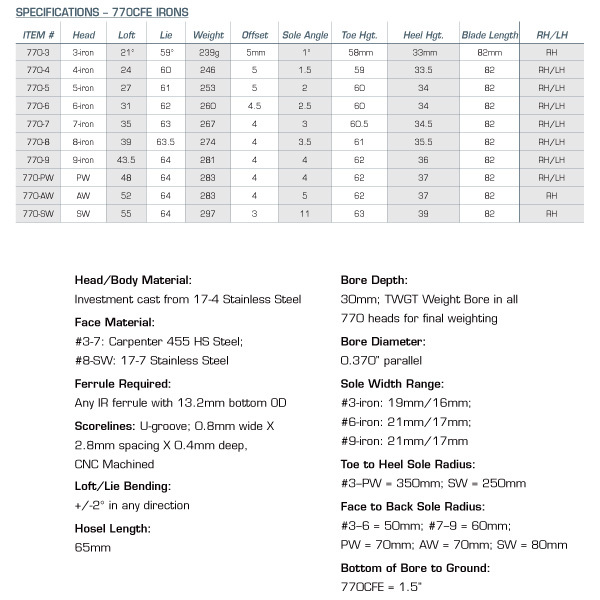 The 770CFE irons were individually computer modeled for face thickness dimension, face thickness position, and face material for each iron in the set to offer the best individual performance possible in a full set of irons. 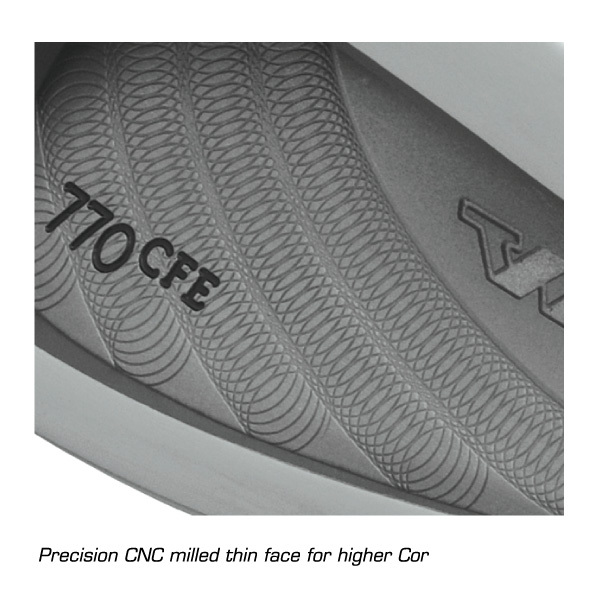 All 770CFE faces are CNC machined after forging to ensure precision in the face design. The CNC machining marks can be seen on the back of each face. The sole design of the 770CFE is designed to keep a large amount of mass low, but by beveling the back edge of the sole the sole width is not so wide to ensure proper sole playability from all types of turf and lie conditions. 770CFE irons are finished in a bright satin polish finish, with all faces CNC machined for precision dimensional specifications. Available in both RH and LH versions. RH in #3 – 9, PW, AW, SW. LH in #4 – 9, PW. 770CFE irons are produced with post-2010 new USGA scorelines. 770CFE irons were awarded the Golf Tips Magazine’s Top Concept Tech Award for 2005. I still can’t find a better iron than the early 1990s CMC 5000. The latest losers for a spot in my bag are Ping iBlades. Yes, the milling grooves are still pretty prominent on my irons and I’ve used them for almost 30 years (not exactly sure when I put them together). They’ve served me well.